This was a film where it’s reputation can’t help but precede it and lend itself to lofty expectations. One need only look at this board anytime “serious cinema” is discussed and there are undoubtedly a multitude of posters mentioning this film as a maxim by which we can judge those that are true cinephiles and those just dabbling in the art. It is with that in mind that I must express my disappointment in the film despite how that will likely imply a failure on my part to a great many posters here. But I do not feel as if I am completely un-warranted in my feelings nor do I come by them lightly. But the film goes about this by making everything as un-engaging as possible. I’m reluctant to use the phrase “boring”, but it does feel like my honest reaction. I tried to become invested in the lives of these characters, but they seem so unenthusiastic and interested in their lives that I can’t help but join them. Even the dramatic moments seem stilted in a somber meaninglessness that, though intentional, it makes it a struggle to wade through this films 2 hours and 20 minutes. I’m especially unimpressed with the relationship dynamics in the film, as this film is often praised as being an early feminist film yet both female protagonists fall in love with a man that is not only unlikable (it does happen, so realism I guess), but when that’s one of the few things to preoccupy your mind with I would like to buy it. It felt more as though they fell in love because the script told them to, and not out of any real connection. So, there’s a lot to admire and I suppose I’m glad to have seen it, but I’ve rarely felt this detatched and uninterested in a classic film. 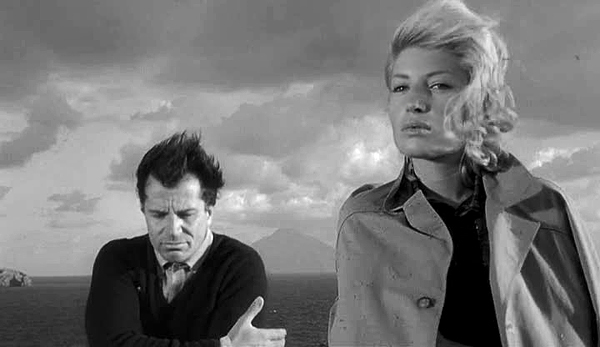 It makes me skeptical of my intention to explore Antonioni further (well, at least in a timely manner). Now… Come tell me how I’m wrong.